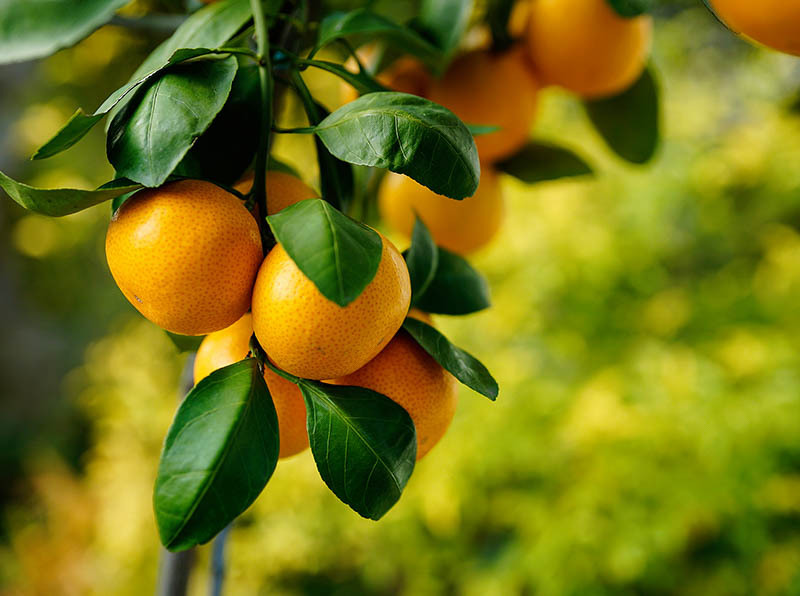 The Okitsu Satsuma Tree is a newer, improved variety of Satsuma, remarkable for its vigorous growth, heavy crops, super-sweet fruit and great flavor. It is easily grown outdoors even in areas with occasional cold-snaps in winter, or it makes a great small tree in a pot, which can be grown anywhere. The beautiful evergreen foliage is a glossy green all year round, and the white flowers are fragrant and will fill the air with perfume. The fruit is a beautiful orange-red when ripe and the peel just falls away from the segments, which rarely have even one seed in them. Your family and children will love to eat this fruit throughout the holiday season, before Thanksgiving and all the way to Christmas. 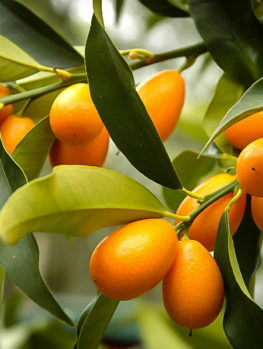 Choose a sunny location for your Okitsu Satsuma Tree and plant it in any kind of well-drained soil. 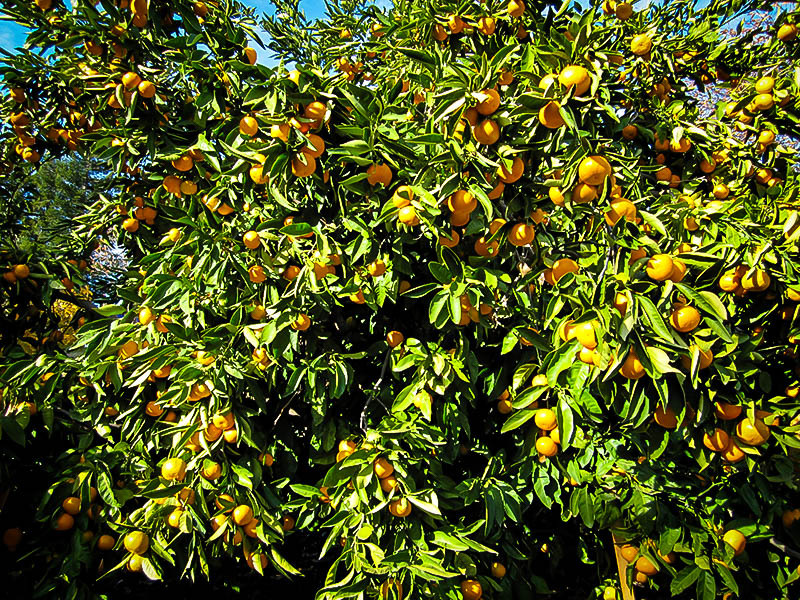 In just a few years you should be harvesting 40 pounds of delicious Satsumas from your tree. Even if you live in a colder area, this compact tree can easily be grown in a pot, brought inside during the coldest months and placed outdoors during warmer periods. Even an unheated porch will keep your tree happy in all but the coldest parts of the country. 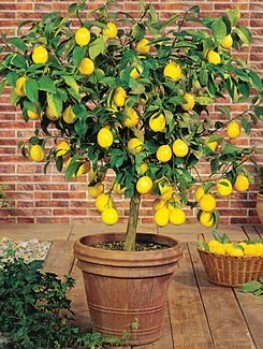 This easy to grow tree is a great choice for anyone wanting to give citrus growing a try. 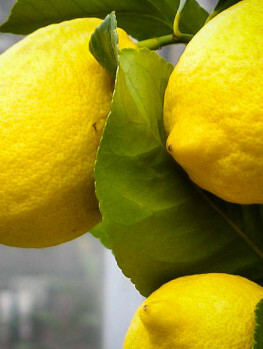 Growing citrus fruit is usually thought only possible in the warmest areas, but in fact it can be a lot easier than many people believe. 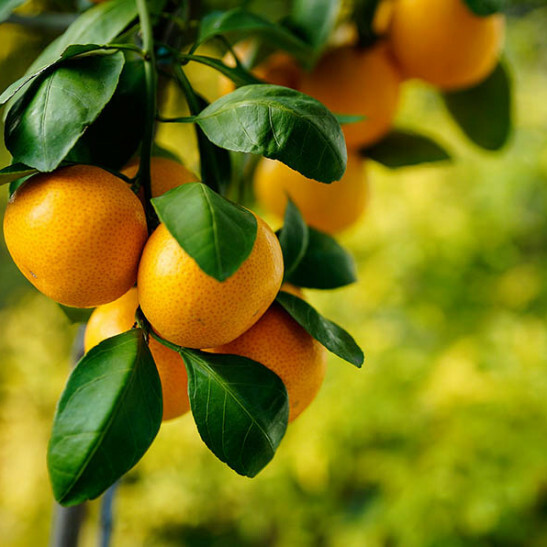 Satsumas are very popular sweet citrus fruits that also are among the hardiest, growing well even if there are brief periods of cold approaching 10 degrees Fahrenheit. 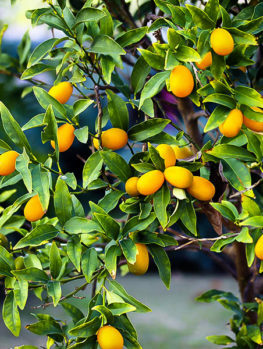 Not only that, but Satsuma trees are small, prolific bearers of fruit, so they are ideal for growing in pots. That means that wherever you live, you can grow a Satsuma tree outdoors all summer and bring it indoors for the winter. A cool porch or sunroom is ideal, since citrus don’t need warm winter temperatures, just plenty of light. 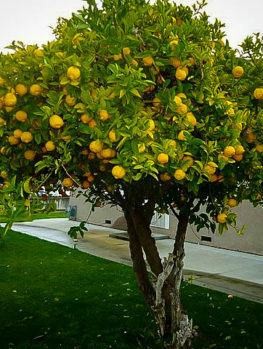 If planted outdoors, the Okitsu Satsuma Tree grows to around 12 feet tall and makes a bushy plant about 6 feet wide. In a pot it remains smaller, and will grow to perhaps half those dimensions. This means it is easy to move your tree indoors as needed. It has large, evergreen, glossy leaves. The fragrant, ‘orange-blossom’ white flowers appear in spring or in fall, and they are followed by tiny green fruit. As the season passes these grow and ripe. they will turn from green to a beautiful red-orange color as they begin to ripen. They will be ready to harvest as early as October, but they will hold well on the tree until end of December. The fruit are rounded, often with a ‘navel’ on the stem end. The peel will almost fall of the fruit, revealing juicy segments that divide easily and have almost no seeds in them. Children and adults will love how easy it is to peel and eat this fruit, and in the kitchen they make great additions to a fruit-salad, or they can be juiced, to drink alone or add a special flavor to orange juice. In tests, the Okitsu Satsuma was the highest scorer of all the Satsuma varieties tested. When your tree is young the fruit will be fewer in number and larger than normal, but as your tree matures the fruits become smaller, sweeter and profuse. You will not be able to believe how many fruit even a tree in a pot will give you – pounds and pounds of delicious fruit, with even young trees carrying 40 pounds. Choose a sunny location for your tree outdoors, in well-drained soil of any kind. If you have poor drainage, plant your tree on a mound of earth. Mulch the soil each spring with organic mulch. 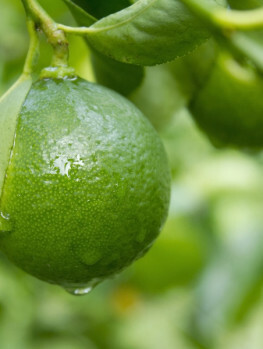 On poor soil it may be necessary to use a citrus fertilizer, but Satsuma fruit is usually considered to taste best when grown on poorer soil. 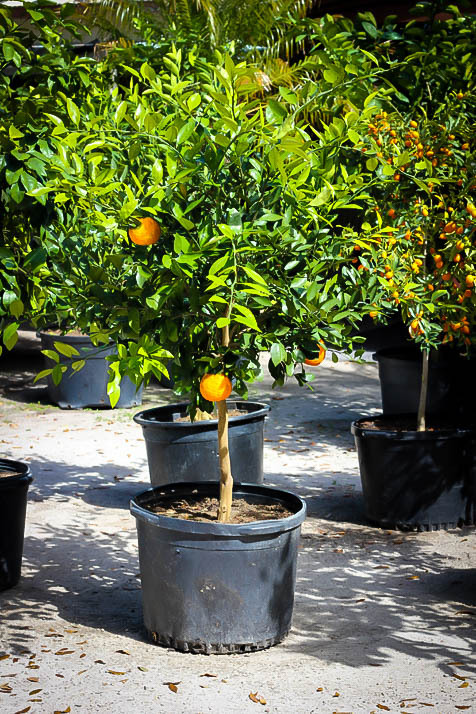 The Okitsu Satsuma Tree is a great citrus to grow in a pot – just make sure you choose a pot that is 18-24 inches in diameter, with drainage holes. Use a potting soil designed for citrus or outdoor planters. Water well, until water flows from the drainage holes, every time you water and don’t stand your tree in a saucer. 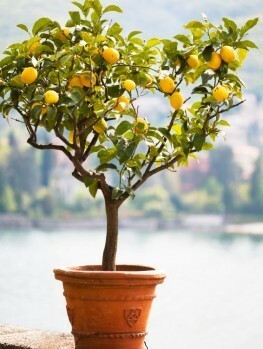 Allow the top inch of soil to become dry before watering again Use a citrus fertilizer as directed throughout the life of your tree and keep it in a sheltered, sunny spot. Keep it indoors when the temperature is below 35 degrees, and try to find a bright but cool place to keep it when it is inside. An unheated porch that will not freeze is ideal, or a cool sun-room. Satsumas have been grown in America for a long time, but not as long as in Japan, where they have been grown for 700 years, probably originally coming from China. There are many different varieties cultivated on the southern islands of Japan, and this novel fruit was introduced into Florida by George R. Hall in 1876. The name “Satsuma” was given to them by the wife of the United States Minister to Japan, General Van Valkenberg, when she sent trees home to America from Satsuma Province in southern Japan. So although known by other names, such as mandarin, clementine and tangerine, the usual name in America is Satsuma. In any case all the many varieties are forms of the same tree, Citrus reticulata, also known as Citrus unshiu. The Okitsu Satsuma Tree is a relatively new hybrid variety that was produced in Japan in the 1950’s, by the plant breeders M. Kajiura and T. Iwasaki at a Horticultural Research Station, in the small town of Okitsu, after which the variety is of course named. It was selected because of its vigorous growth and because even young trees can carry 40 pounds of fruit. The fruit is exceptional for its sweetness, due to its very high sugar content.